• If the underallocated resources have the same skills and availability as other resources that are overallocated, you can use them to balance the workload. essary burden on your budget. If you find that resources are overallocated or underallocated, check with the resources to see whether their availability can be modified to reflect how they're needed on the project. For example, if a full-time resource is consistently 50 percent underallocated throughout the life of the project, you might consider changing his units to 50 percent and making him available as a 50 percent resource on another project. Or if a part-time resource is consistently 20 percent overallocated, ask her if she can add more time to her availability on the project. 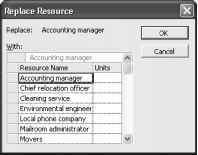 To change resource units, in a resource sheet, double-click the resource name to open the Resource Information dialog box. Click the General tab. In the Resource Availability table, specify the units in the Units field. If necessary, enter the starting and ending dates of the new levels of availability. To change a resource's working time calendar, click the Working Time tab in the Resource Information dialog box. 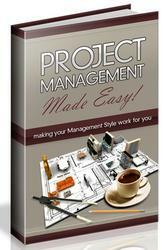 Make the necessary changes to increase or decrease the resource's working time on the project. You can shift assignments around to fix overallocations and underallocations. This shifting assumes, however, that you have resources with similar skills and availability who can fulfill the necessary tasks. If you can't add or replace resources to take the burden off overallocated resources, you might be able to delay tasks or assignments until the resources have time to work on them. Or you can simply add overtime work to account for the overallocation. You can add underallocated resources to tasks to assist overallocated resources. Depending on the task type, you can distribute the work or the assignment units among the assigned resources, thereby balancing the workload better. For more information about adding resources to tasks, including the impact of effort-driven scheduling and the different task types, see "Adjusting Resource Settings to Bring in the Finish Date" earlier in this chapter. In a task sheet such as the Gantt Chart, select the task for which you want to replace resources. On the Standard toolbar, click Assign Resources. In the Assign Resources dialog box, click the resource you want to replace. The currently assigned resources have check marks next to their names. Click the Replace button. The Replace Resource dialog box appears (see Figure 9-23). Figure 9-23. Use the Replace Resource dialog box to remove one resource and add a different one in a single operation. 5 Click the resource you want to add to the task and then click OK. The old resource is replaced with the new one. Leveling delay. This is a task delay—the amount of time that should pass from the task's scheduled start date until work on the task should actually begin. It delays all assignments for the task. Leveling delay can also be automatically calculated and added by the Microsoft Project leveling feature. For more information about leveling, see "Leveling Assignments" later in this chapter on page 285. Note Don't confuse lag time with task delay. Lag time is the amount of time to wait after the predecessor is finished (or has started, depending on the link type) before a successor task should start. For more information about lag time, see "Delaying Linked Tasks by Adding Lag Time" on page 154. Assignment delay. This is the amount of time that should pass from the task's scheduled start date until the assignment's scheduled start date. Click View, More Views. In the More Views dialog box, click Resource Allocation and then click Apply. Click the Resource Usage portion of the view and then click the resource or assignment for which you want to examine slack and possibly delay. Click the Leveling Gantt portion of the view. Click View, Table, Schedule. Review the Free Slack and Total Slack fields to find tasks that have slack (see Figure 9-24). You need to drag the vertical split bar to the right to see these fields. Figure 9-24. Use the Schedule table in the Resource Allocation view to find available slack in which to add task delay. 6 Also review the chart portion of the Leveling Gantt. The thin bars to the right of the regular Gantt bars show any available slack (see Figure 9-25). ■This thin bar indicates available slack. 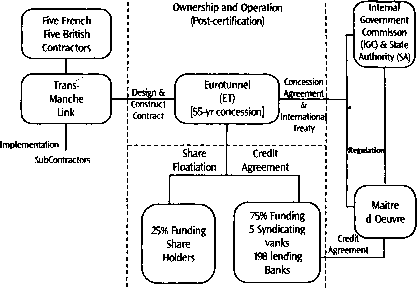 Figure 9-25. Use the Leveling Gantt portion of the Resource Allocation view to find available slack in which to add task delay. 1 With the Resource Allocation view displayed, click the Leveling Gantt portion of the view. 2 Click View, Table, More Tables. In the More Tables dialog box, click Delay, and then click Apply. 3 In the Resource Usage portion of the view, click the assignment whose task you want to delay. 4 In the Leveling Gantt portion of the view, enter the amount of time you want to delay the task in the Leveling Delay field. 1 With the Resource Allocation view displayed, click the Resource Usage portion of the view. 2 Click the column heading to the right of where you want to insert the Assignment Delay column. 4 In the Field Name box, click Assignment Delay and then click OK.
5 In the Assignment Delay field of the assignment you want to delay, enter the length of the delay. This entry indicates how much time after the task's start date the resource is to wait before starting work on this assignment. Often, you can't reassign overallocated work to other resources or delay a task until later. In this case, overtime might be the answer. Microsoft Project does not automatically assign overtime or the associated overtime pay rate when a resource's work exceeds your definition of a normal workday (for example, 8 hours) or a normal workweek (for example, 40 hours). You need to specify overtime work, in addition to total work, for the resource. For example, suppose a resource is assigned to 10 hours of work in a day. You can specify 2 of those hours as overtime work. The work still totals 10 hours, but 8 hours are regular work and 2 hours are overtime.